As any epidemic on plants is driven by the amount of susceptible tissue, and the distance between organs, any modification in the host population, whether quantitative or qualitative, can have an impact on the epidemic dynamics. In this paper we examine using examples described in the literature, the features of the host plant and the use of crop management which are likely to decrease diseases. We list the pathogen processes that can be affected by crop growth and architecture modifications and then determine how we can highlight the principal ones. In most cases, a reduction in plant growth combined with an increase in plant or crop porosity reduces infection efficiency and spore dispersal. Experimental approaches in semi-controlled conditions, with concomitant characterisation of the host, microclimate and disease, allow a better understanding and analysis of the processes impacted. Afterwards, the models able to measure and predict the effect of plant growth and architecture on epidemic behaviour are reviewed. This work was funded by Agence Nationale de la Recherche (ANR): project ARCHIDEMIO grant ANR-08-STRA-04. Tivoli, B., Calonnec, A., Richard, B., Ney, B., & Andrivon, D. (2012). How do plant architectural traits modify the expression and development of epidemics? Consequences for reducing epidemic progress. 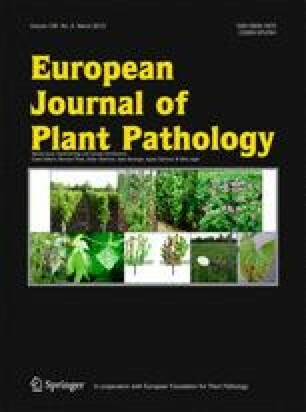 European Journal of Plant Pathology. doi: 10.1007/s10658-012-0066-6. Tremblay, N., Wang, Z., & Cerovic, Z. G. (2011). Sensing crop nitrogen status with fluorescence indicators. Agronomy for Sustainable Development. doi: 10.1007/s13593-011-0041-1.